africa | Shut Up Hamish! The Cannes 2014 favourite gets it’s first (and only?) cinematic run in New Zealand as part of the New Zealand International Film Festival. 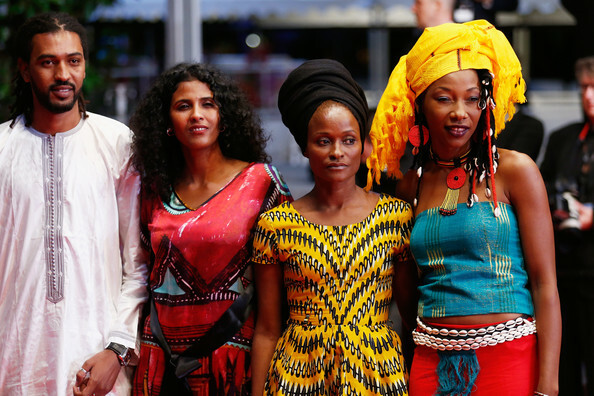 Sissako is only of the few African born directors making narrative cinema that is gaining such an interest at an international level, so I was curious to see what his cinematic voice is like, having not seen his previous films. Sissako, although born in Mauritania, spent much of his childhood in Mali, his fathers country. In this film he focuses his lens on Malian people, specifically in North Mali and Timbuktu, the historically significant city (with a long history of being notoriously difficult to get to, many colonial explorers dying attempting to cross the Saharan desert) which is often confused in western minds with a metaphor for a distant place. 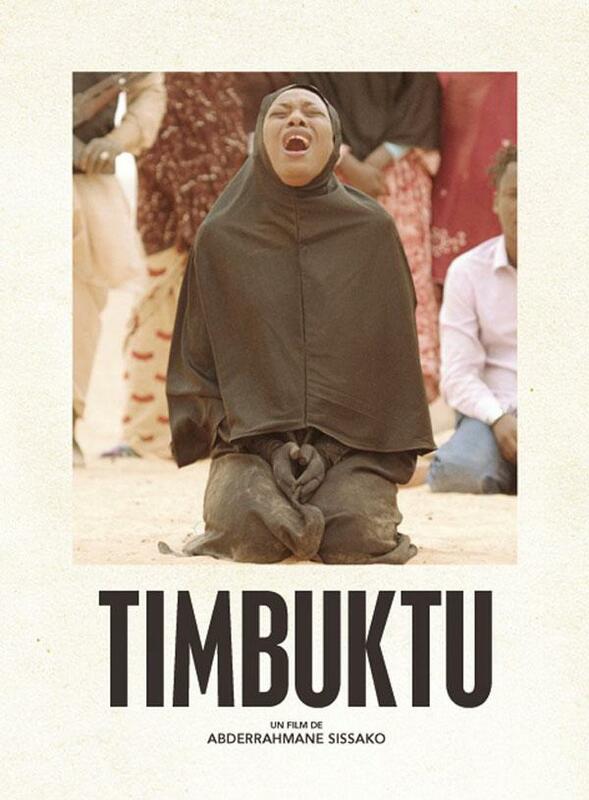 But Timbuktu is filled with real people and real struggles, and Sissako successfully translates these to a fictional narrative (based partially on real events) showing the human side behind the Tamasheq-speaking locals and the Arabic-speaking Islamic extremists who’ve invaded their community. The core of the story is a drama about a couple, Kidane and Satima who live peacefully on the outskirts of the city, tending to their cattle and raising their daughter. But an argument over the murder of a favourite cow, called ‘GPS’ leads to the father Kidane accidentally murdering a fellow farmer. Separately to this is the story of the civilians living inside Timbuktu, being kept under the strict rule of gun toting Islamic extremists, who’ve banned everything from music to playing soccer and enforced the wearing of the hijab (traditional muslim headscarf) on Timbuktu woman. These new laws are met with defiance from many of the locals, one woman refusing to wear gloves to do the work she has been previously doing with bare hands her whole life, or a group of kids playing an game of soccer with an invisible ball just to get around the regulations. These scenes are staged dramatically and make life in Mali seem very relatable. We are shown the extremists as they try to convert many around the city but struggle to find a level of Islamic conviction they seek. The hypocrisies of the extremists are also made evident; the gun toting militants ban simple pleasures and yet communicate with each other via smartphones and frequently bend their Islamic religious teachings to fit any agenda. Although the story is a tragedy we are equally shown the light and relatable aspects of life in Northern Mali, and humor is found even in the darkest aspects of life amongst this type of extremism. What is apparent are the human stories that we are never given when watching news reports on Islamic communities in Africa or the Middle East. We are most usually told only about the murders and bombings, or the various invasions, but not taken inside the lives of those affected by these political groups. We see Malian people singing, socializing and trying to keep their lives going in spite of the changes forced upon them by the ideals of a few. We get to know the people, such as the farmers Kidane and Satima or the unique personalities inhabiting the city. We also get to know the militants, and are given opportunity to equally pity their situation. Timbukto is also photographed beautifully; there is striking imagery, for example one key scene is is played out in a long take from a extremely wide angle, highlighting how the events of these peoples lives take place against the harsh conditions of the desert. The invisible soccar game is also particularly memorable, and plays out with only music and no sound effects; a montage of what having fun is life within the constrictions of inflicted extremest rule in africa. Any brutality in the film is dealt with sensitively and without exploitation. This is delicate, considered filmmaking, on a culture that rarely, if ever, gets an opportunity to tell it’s stories on a world scale.